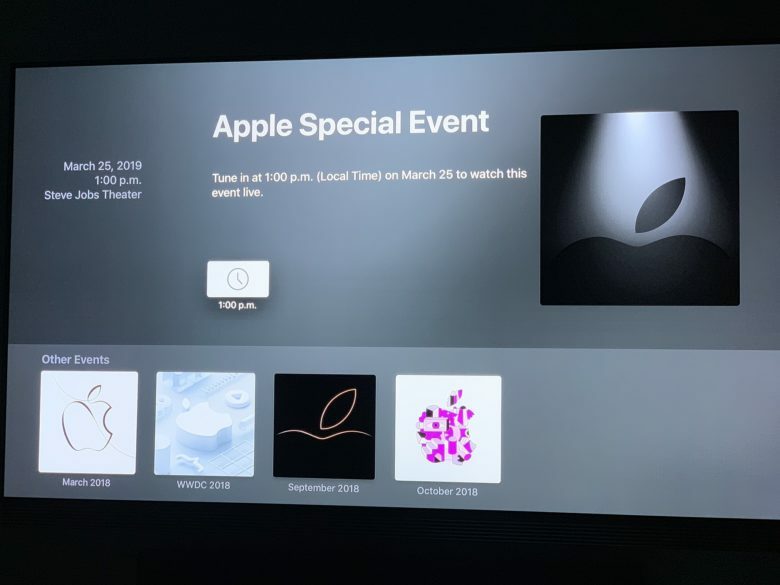 As it always does before a new keynote event, Apple’s updated its Apple Events app for Apple TV. If you own an Apple TV set-top box, and want to watch the March 25 event from the comfort of your couch, this is the best way you can do it. The “It’s Showtime” event will take place at 10am Pacific/1pm Eastern. A new wallpaper hints at the “showbiz” focus of the event by featuring an Apple logo under a spotlight. You can check out this post by my colleague Buster Hein for a full rundown of what we’re expecting March 25. For once, this feels like an event that hasn’t been heavily spoiled in advance. Apple will be debuting its new News subscription service and previewing its streaming TV offering, too. However, the precise details about both of these are still something of a mystery. It’s not clear whether we’ll see any new hardware at the event. It seems unlikely, though. Apple debuted two new iPads yesterday, rather than waiting until next week. While there are hardware offerings on the way, it’s unclear whether Apple will want to mix them in with its focus on Services. Don’t worry if you haven’t got an Apple TV, though. As usual, Apple will also be live streaming the event online, while Cult of Mac is ready for its customary play-by-play.